Bottom Line: Perfomix SST is a stimulant-heavy formula that could lead to harmful side effects. Many of the ingredients in the formula don’t have the science to support them as safe and effective in humans. 2. History of the Brand: How Did Performix SST Start? 6. Who’s Performix SST For? 7. How Does Performix SST Work? 8. Does Performix SST Work? 13. Any Performix SST Lawsuits? 16. Would Performix SST Work with Your Diet? 17. Verdict: Would I Recommend Performix SST? Bottom Line: Perfomix SST is a stimulant-heavy formula that could lead to harmful side effects. Many of the ingredients in the formula don't have the science to support them as safe and effective in humans. Perfomix SST is a fat burner that makes some bold claims – even about how their capsule is absorbed in the body. Intrigued by their time-release liquid capsule formula, I decided to give it a try myself. But, trying it and telling you about my results isn’t enough to help you decide whether or not to try it yourself, so I also took the time to dig deep into the ingredients, the science behind them, the company itself, and what others had to say. If you’d like to try it for yourself, Performix SST can be purchased through Amazon or using their Official Site. 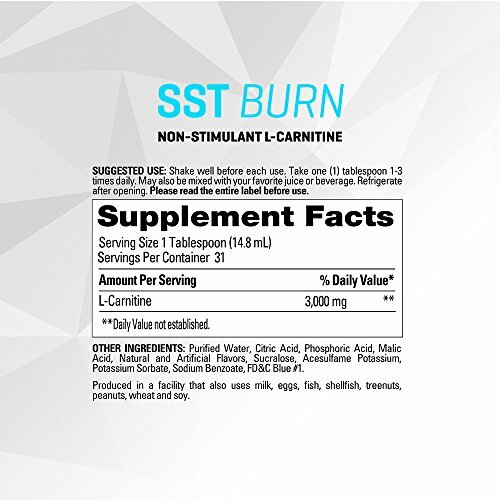 Performix SST is a liquid thermogenic supplement that claims to improve the body’s natural fat burning ability. The capsule contains a liquid inside, and uses what the company calls “TERRA Intelligent Dosing.” The capsules are made with layers so the active ingredients stay in the body longer. Performix SST is made by Corr-Jensen, Inc. This company is based in Colorado and was founded in 2007. Matt Hesse founded the company after suffered a back injury. Performix makes a variety of products including fat burners, energy drinks, protein powders, and more. They have a line of pre-workout products and post-workout products, too. This is what the bitter orange plant looks like before it’s processed into an extract for use in supplements. Caffeine Anhydrous – a dehydrated form of caffeine. This is more than in your daily cup of coffee. You should not use any other products containing caffeine while using Performix SST. Ashwagandha – a plant used in Ayurvedic medicine. It’s used to treat a number of conditions, from cancer to anxiety, and even Alzheimer’s disease. However, there is no research to prove it safe and effective in humans as the studies are done on animals. Advantra Z Bitter Orange – the patented extract of a natural plant that’s thought to have the same effect as ephedra, without the harmful side effects. There is conflicting research on its effectiveness for weight loss. Synephrine HCL – this is simply another name for bitter orange. It is the same substance in salt form, which makes it easier for the body to absorb. Huperzine A – This is a lab created chemical that’s created from Chinese club moss. It stops the breakdown of acetylcholine – a neurotransmitter. It’s used to improve energy and alertness, but there is no scientific evidence to support that claim. Not enough research has been done to determine its safety or effectiveness in humans. Yohimbe HCL – This comes from the bark of the Yohimbe tree, which grows in parts of Africa. Many supplements use this ingredient, but the correct amount isn’t often listed on the ingredients label. Because of the proprietary blend, I can’t tell you how much is in Performix SST. Studies on Yohimbe for weight loss are inconclusive. Mucuna pruriens extract – This is an extract from a type of bean that grows in tropical areas. It is used because it claims to increase dopamine levels in the brain. But, because the body breaks down most of the chemical from the bean before it reaches the brain, it’s not thought to be effective. It may help make you feel good, but it’s not going to help you reach your weight loss goals. BioPerine Black Pepper – This is a patented form of black pepper extract. It is used to help increase the bioavailability of all the other ingredients in the formula so your body absorbs them better. Though I couldn’t confirm exactly where Performix SST is manufactured, it’s safe to say it’s made in the United States. Performix is for healthy adults who want to boost their metabolism and lose weight. You’ll get the best results if you use this product with a balanced diet and regular exercise. Performix SST works by giving your body stimulant ingredients to boost your metabolism. Your entire body will be running a bit faster as a result. Yes, it does work. The problem with it is the side effects people feel as a result of the stimulants in the product. Some people did report not seeing any changes after using the product, but because we don’t know what kind of diet they followed, it’s hard to say whether it was their routine or the product itself. Performix SST does contain clinically proven ingredients that are known to help boost the metabolism. With the right diet and exercise routine, you should see an increase in metabolism and weight loss. But, because of the nature of these stimulant ingredients, you may also find side effects that are so intense you have a hard time continuing to use the supplement. Since this is a capsule, there is no need to worry about taste. Yes, there’s liquid inside it, but you shouldn’t taste it because you don’t need to chew the capsule. Performix SST may cause side effects such as nausea and upset stomach. There are several stimulants in this formula. With stimulants, always comes the risk of some pretty serious side effects. Bitter orange, for instance, can lead to increased heart rate, high blood pressure, stroke, and heart attack. Yohimbe can lead to dizziness, tremors, high blood pressure, increased heart rate, anxiety, nausea, and vomiting. You may also experience headaches, sweating, skin flushing, and irritability. Using ashwagandha in large doses may lead to an upset stomach, vomiting, and diarrhea. Because I don’t know how much is in the formula, it’s hard to say whether it will cause these side effects. It didn’t for me, though. Caffeine can also cause side effects such as nervousness, insomnia, increased heart rate, increased respiration rate, upset stomach, nausea, and vomiting. It’s true side effects don’t happen in everyone, but it’s important to be aware of them. This is especially the case if you already have high blood pressure or a fast heart rate. Do not take this supplement if you are under age 18, pregnant, nursing, or planning to become pregnant. This supplement is not safe for those with certain health conditions, or anyone taking prescription medication to treat a health condition. Speak to your doctor to make sure you are healthy enough to use this supplement before you include it in your daily routine. At this time, there are no lawsuits against Performix for any of their products. Their company has an A+ rating with the BBB, though the business is not BBB accredited. “I started taking these when I was on a calorie deficit, no carb, no sugar diet. I had previously had no energy to make it to the gym up til that point, and work was a struggle (energy-wise). I only have to take one of these pills and I have the energy for an entire workday. I do feel shaky at first but eventually, the effects level out. My job is extremely mentally demanding, and when I took these I felt like I accomplished so much, managed to multi-task, and caught so many things. My workouts were back up to the level when my diet was normal. I would recommend.” – V.
“Do your research! 3 days into using this and I have severe stomach cramping. I get a few hours of energy then crash by noon and spend my lunch hour asleep in my car. I feel like crap by the end of the day. Not thirsty, not hungry. I’m done taking this crap.” – M.R. 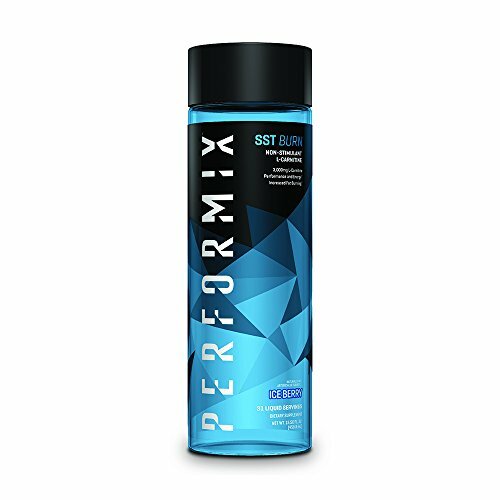 There are several products similar to Performix SST. These include Hydroxycut, Hydroxycut SX-7, Performix SST v2X, TruControl, Meltdown, and Performix Iridium. These contain soy, sugar, and gelatin. This means it would not be good for those who are a sugar-free, or soy free diet. It would also not work if you are vegetarian or vegan. Honestly, this is one I cannot recommend. There are potentially harmful ingredients, and the side effects are just too rough. There are plenty of other supplements out there to help you burn more fat without the potential for so many issues. If you’d still like to try their products, there are several promotional codes, like this one for 15 percent off, out there so you can try for yourself. 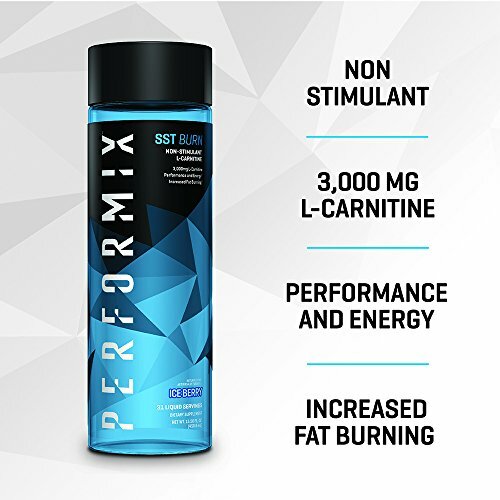 Performix SST can be purchased through Amazon or using their Official Site.